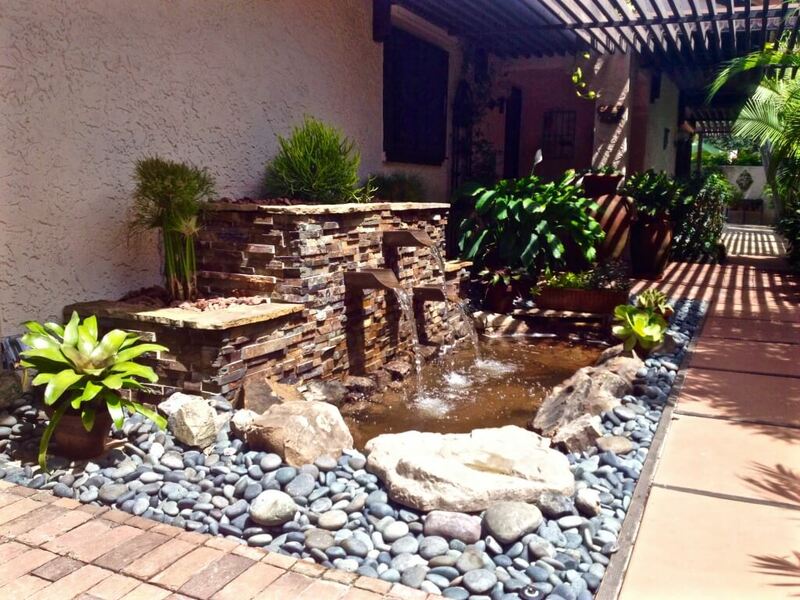 Nothing says “relaxation” better than waterfalls, fountains & koi ponds! 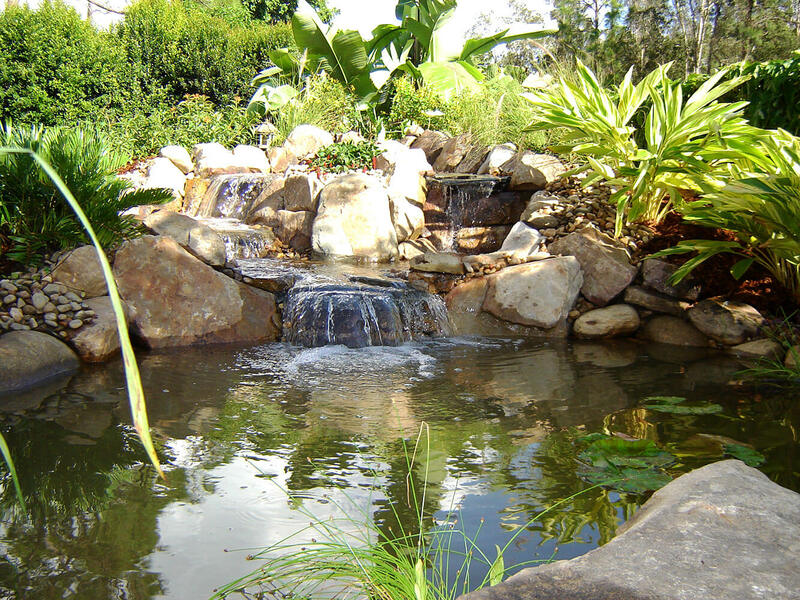 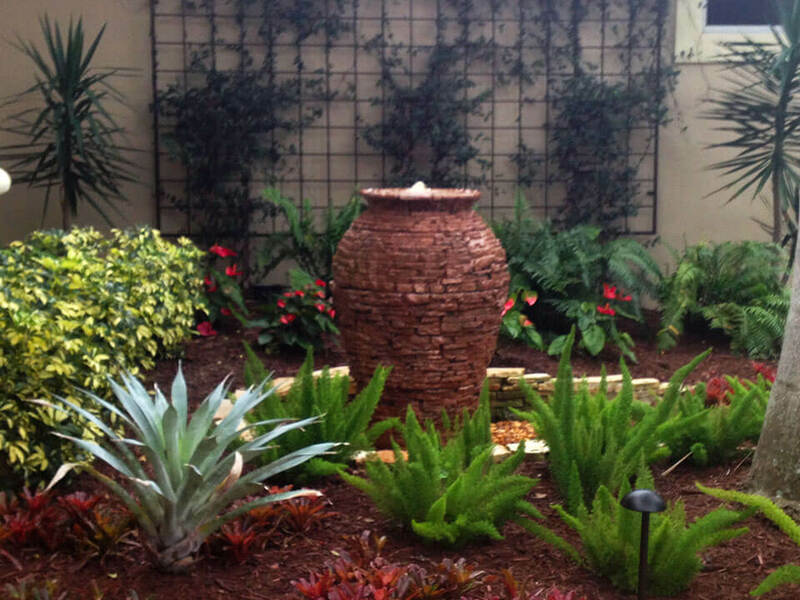 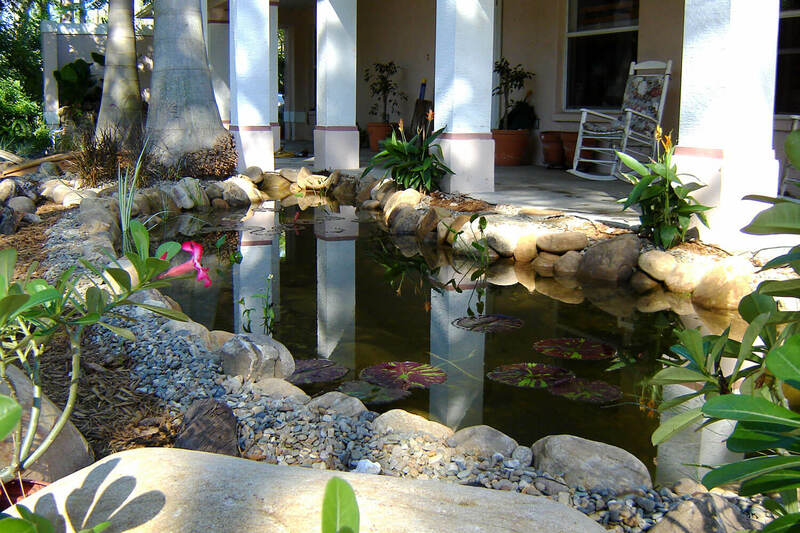 Unlike garden pond systems used by many, Lombardo Landscaping uses Aquascape for their ponds and waterfalls. 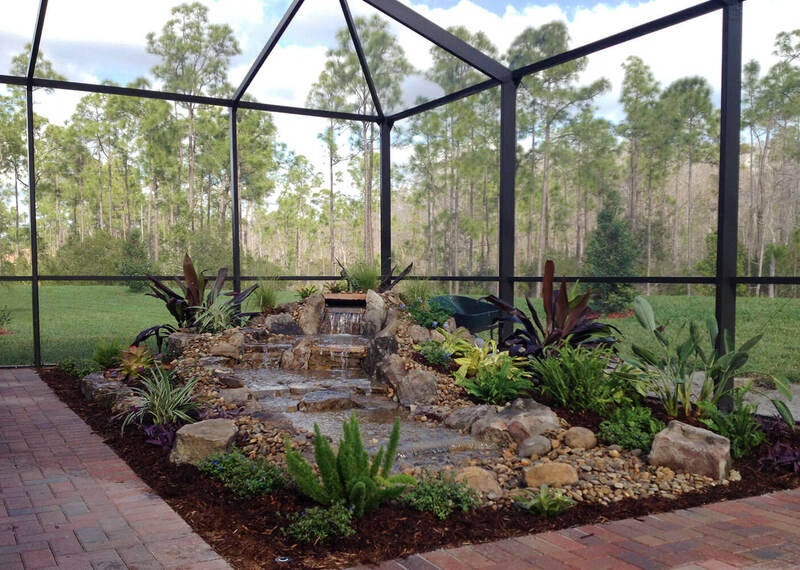 Aquascape is one the few systems which creates a literal ecosystem and requires little maintenance. 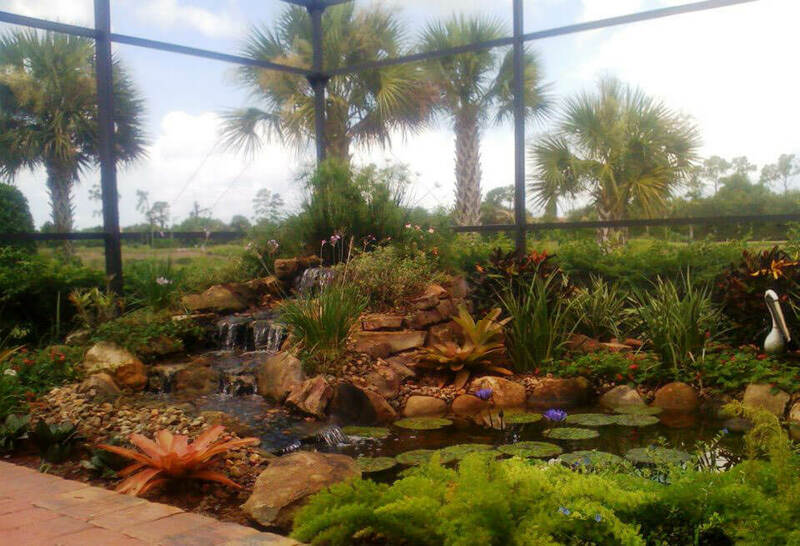 This leaves you more time for outdoor living, stress reduction and true relaxation. 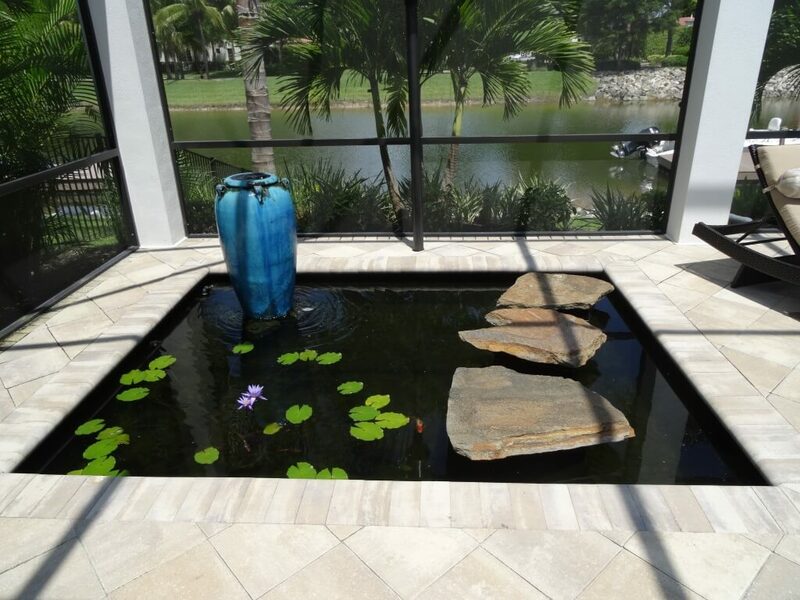 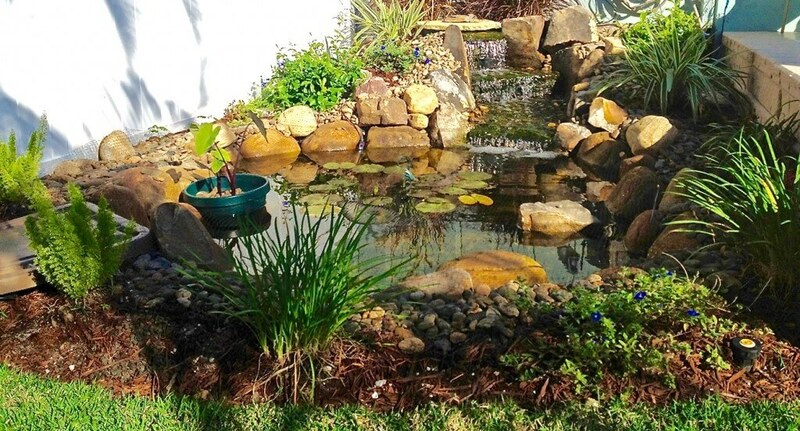 Many landscapers will use Florida stone to create these ponds. 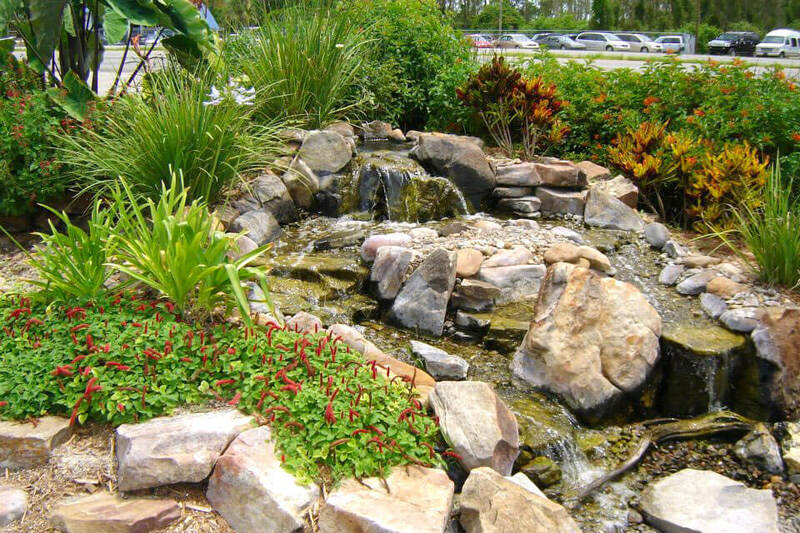 However, native Florida rocks typically have a high pH. 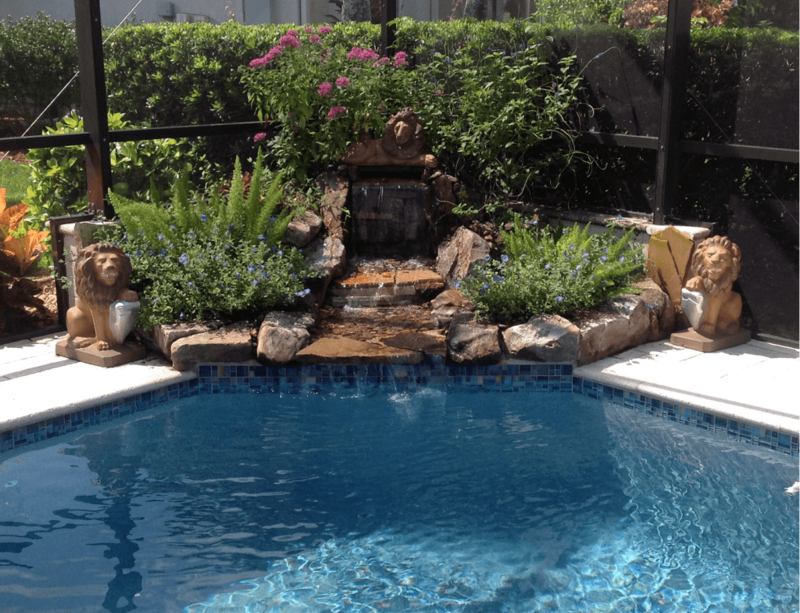 Therefore, we import all of our rock from Tennessee. 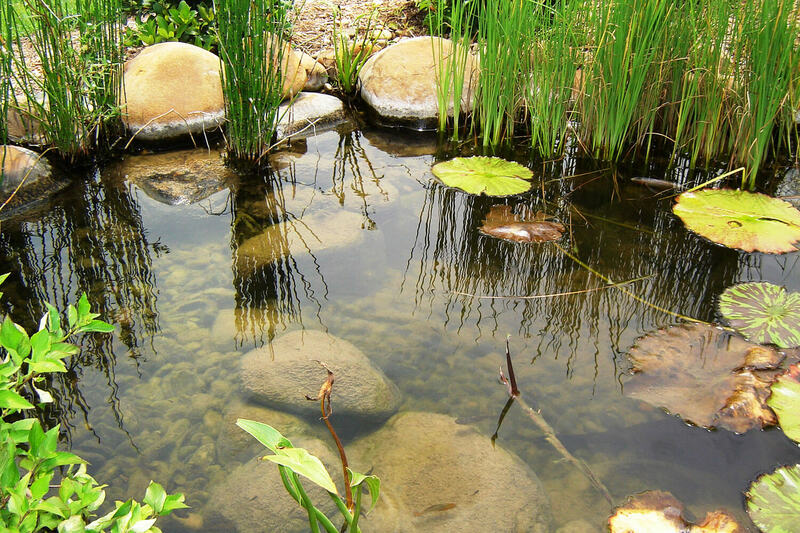 This ensures the survival of your fish and the longevity of your pond. 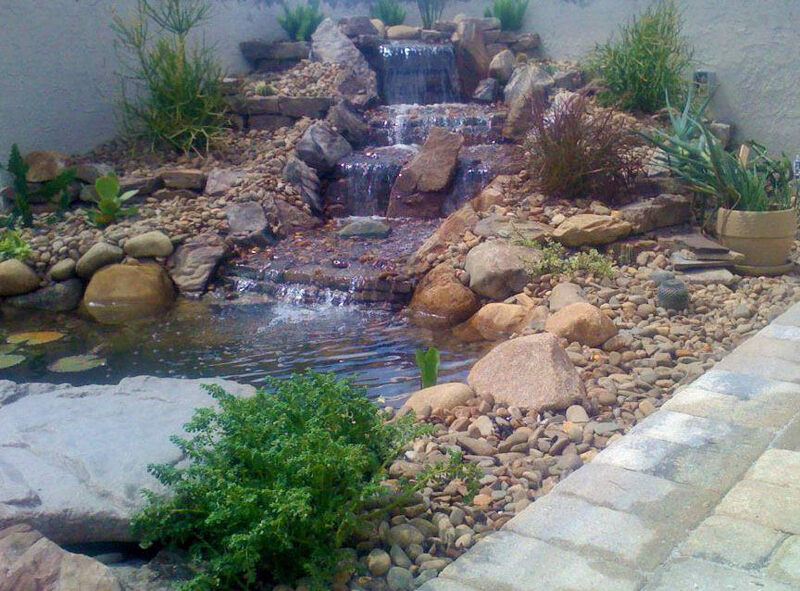 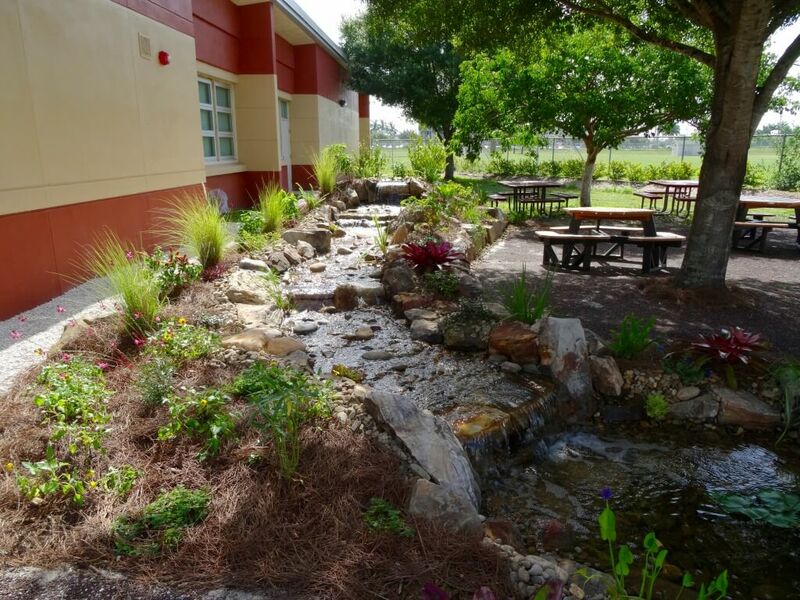 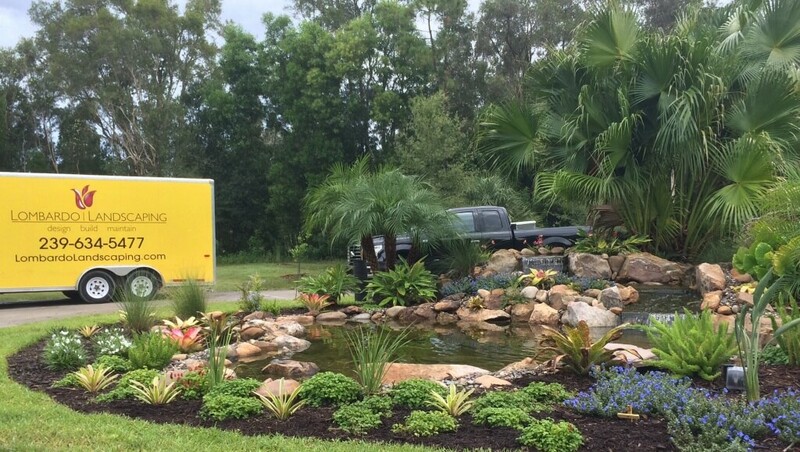 When you are thinking about waterfalls, fountains & koi ponds, think of Lombardo Landscaping & Water Features, Inc.! 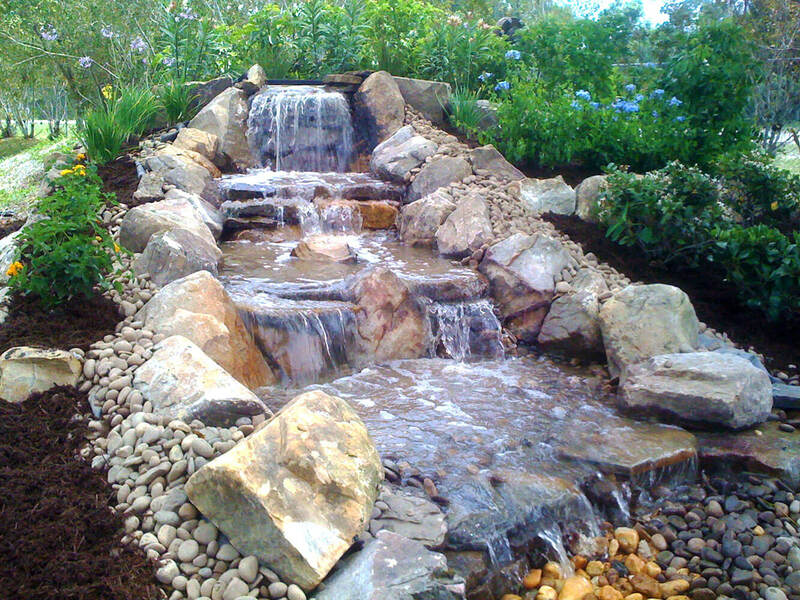 We design our fountain features and waterfalls around your ideas from a variety of stone and rock materials. 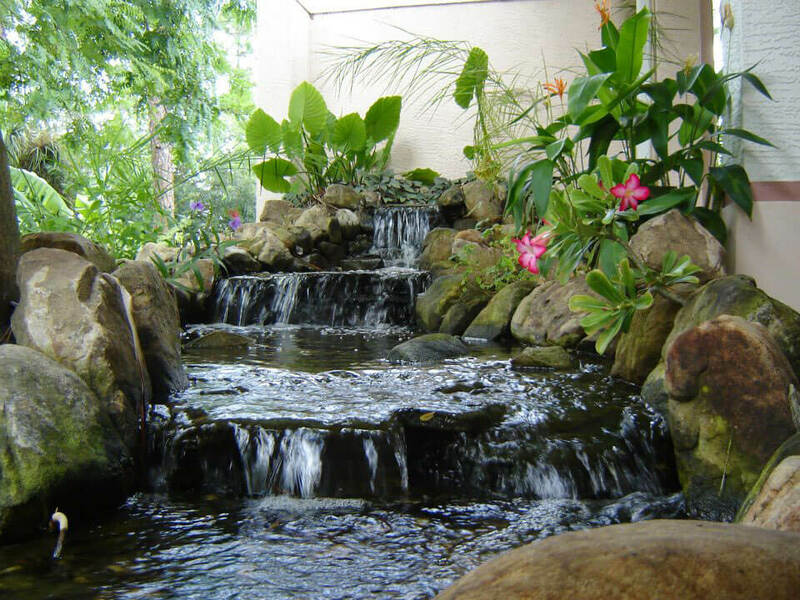 With one or multiple waterfalls constructed with beauty, choose a contemporary, eclectic, tropical, or other style that fits your home. 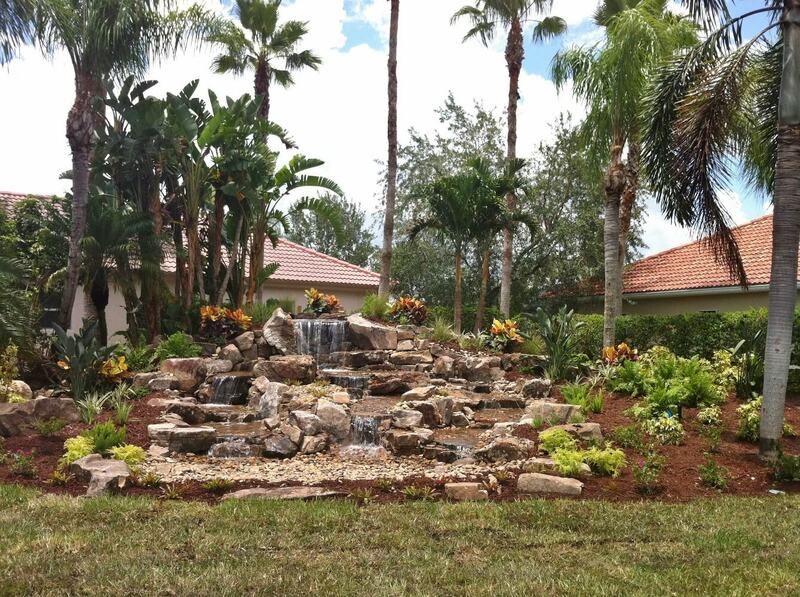 Check out our portfolio or get a quote today!